Some of you might wonder: is it possible to practice my profession overseas? Fortunately, the answer is yes. Working overseas provides many benefits. Among them is the experience that you’ll get. Moving to a foreign country will expose you to experiences that not many would have. It will expand your perceptions on the profession as you go through the day-to-day challenges. Depending on the country, you get higher wages. A registered nurse in Australia typically gets paid around AUD 53,900 to AUD 75,000. This results in a high quality of life for your family. You can see similar numbers for Singapore, Canada, and the Gulf countries. There are plenty of opportunities overseas. It takes a bit of creativity and resourcefulness to find them, but it’s worth it for all the benefits. It is a must-do for those of you who feel you need a change of pace in life. Many foreign nurses are being hired to provide home care for the elderly in the city-state of Singapore. They enter with the same work pass as a maid; and live in with the patients that they care for. There is a genuine demand for nurses who are willing to work in these conditions in Singapore. Compared to sending their aging relatives to nursing homes, Singaporeans now prefer them to stay at home, where they are familiar and can be comfortable. You would not need to spend on food and lodging. Also, if not working at the patient’s home, you have more time and freedom on your hands, as compared to working in a hospital. The disadvantage is that your pay is only slightly more than a domestic helper. On average, home care nurses get only about SGD600-SGD1000 a month. Check out Active Global Caregiver, Optinuum Health Services and Homage if you’d like to find out more about this kind of work. Many clinics in Singapore are actively seeking out Malaysian Nurses; they even list it out in their job descriptions. The pay is higher compared to working in Malaysian private practices: about SGD2000-SGD3000 per month on average. Regular hours for these institutions means you can opt to live in Johor Bahru, while commuting to work in Singapore. You earn in a stronger currency but live in a more affordable area. However the commute can be really tiring, and it can take hours to travel to and fro across the Johor Straits. As mentioned, the Singaporean government is investing in a lot of foreign nurses. According to sources, the country is investing SGD 24million to help fill out 9000 jobs in healthcare. They even have overseas nursing graduate programs and scholarships to woo over those from overseas, even if from a different career. Job prospects looks bright. With all the government actions, its a clear indication that foreign nurses are very much needed in years to come. However, it can create high levels of stress to work in such conditions. Short of manpower, it creates a large amount of workload. Singaporean nurses cite great demands at work, and internal conflicts. According to a study, affected nurses cope better when with friends and family. Working overseas normally means leaving friends and family behind, therefore leaving you with a lesser safety net for your mental fortitude. You can check out how non-Singaporean registered nurses can work in Singapore here. Also facing a shortage in nurses, they seek to hire foreigners to meet demands. Some will even sponsor you. As a rapidly developing country, Australia has very high standards of nursing care that we can learn from. A job stint there will expose you to cases or methods that you would not normally have the opportunity to see here. A major advantage of being a nurse in an Australian hospital is that it is one of the highest paying countries for nurses. However, the process for Malaysians to immigrate and practice nursing there can be lengthy. First you have to register with the NMBA. Then register with ANMAC, complete training with AHPRA, pass ANMAC skills assessment, obtain placement in an institution, and then only finally migrate. You can check out our article on how to become a nurse in Australia for more detailed info. As Australian society continues surging onward with better healthcare delivery, life expectancies have increased, leading to a ballooning population of geriatrics. Australian hospitals tend to want to discharge patients as fast as they can, resulting in more patients being put into extended or long term care centers. These care centers are sprouting up in all Australian states. They even have one specifically to cater to those of Chinese ethnicity. Malaysians of ethnic Chinese parentage would do well here. Advantages of working here include flexible hours, and locations you can choose. The work experience you gain from here can set you up for specialization in Geriatrics, an increasingly valuable specialty. However, like any business, nursing homes can close down due to lack of funding, or if investor money runs out, like this nursing home in Walcall. You can check out how non-Australian registered nurses can work in Australia here. 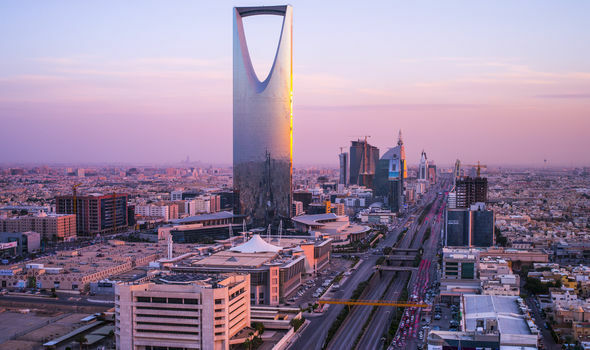 The Royal House of Saud is aggressively developing their healthcare system, capacities and how they deliver it to their citizens, according to this report. Nurses from Malaysia get drafted into 1st Grade, which has a salary of RM14,000/month. The Saudis are comfortable with Malaysian nurses because of our proficiency in English. You get to live a very comfortable life as a nurse here. Lodging and food are often prepared by the employer to make it easier on foreign nurses coming into work. This gives a leg up for those unsure how to begin life in a new country. Many Malaysian nurses are already working there. You would have a strong support system for hard times from the community. Not only is the pay very attractive, the extremely low tax rates imposed on you would result in a much higher net income. The healthcare is advanced, even if the Kingdom is struggling to deliver its healthcare to its citizens because of the large country size. Also, since it is home to the two holiest sites in Islam, it is a great opportunity to be closer to one’s faith for Muslims. Unfortunately, Arabs can be culturally more aggressive compared to mild-mannered, timid South East Asians. Also, the Kingdom is a bit further away compared to working in other ASEAN countries. There is currently an extreme shortage of nurses going on in the States. By 2022, it is estimated that the total number of nursing vacancies is projected to be more than a million. According to the latest numbers from the American Census Bureau, the 76-million strong baby boomer generation will triple the number of over-65 population in 2030. This can strain the nursing workforce. It has even come to a point where American institutions are now promoting nursing as a second career. They are even helping to promote the profession to men, who have traditionally shied away from nursing. Working in the United States as a nurse nets you a good pay, and a high standard of living. A similar situation to the USA is also happening in Europe. A lack of interest in nursing amongst the young have pushed several European countries to act by employing foreign nurses to meet demand. Moving overseas can be scary. The adjustment phase can be difficult, even to the most open-minded of all migrants. But, like all difficult things, the end result is fruitful. In an increasingly globalized world, more international experiences lead to better global ties, and a more peaceful society overall. One easy way to apply for a job overseas is by MIMS Career. Signup and input your resume details with us, and you can enjoy our fast, secure, and easy 1-click application process to many healthcare employers. Find nursing work that you would get excited about in Malaysia, Philippines, Indonesia, or Singapore. You can also save jobs to view later, or create email alerts to notify you of new positions you might be interested in.